Look at what Aurora at Once Upon A Screen gave us! If you’re not following Aurora’s fabulous blog, click here to join the fun! To accept this award, we have to list 11 random facts about ourselves and answer the 11 questions Aurora posed. The other day we saw Oliver Stone live and in person when he spoke at a nearby arts facility. Remarkably, he did not ask us for our autograph. We make a fantastic Raspberry Pie. The problem is, after we’ve made it we don’t wish to share. We have an terrible weakness for red licorice even though it can barely be classified as food. We asked our sister-in-law to design the new header for our blog. It’s based on the statue, “The Cameraman”, that is located across from Warner Bros. Studios in Burbank, CA. We have three un-read Hollywood history books on our shelf and we cannot find the time to read them. It’s driving us crazy. We helped organize a documentary film festival last month. This was our attempt to help make the World A Better Place. Our favourite place to write is in a recliner. We believe writing is best done in absolute comfort. We facilitate a writing group for children ages 10-14. These children are smart and funny, and we adore each one of them. We use an old-school BlackBerry. We refer to it as our “vintage mobile device”. We have opinions about every single movie we watch. Our beleaguered family and friends have heard it all, and they kindly suggested we blog about our opinions instead of sharing them during key moments in the film. 2. What was your “best” film-going experience? We saw Sunset Boulevard on the big screen and it was as though we’d never seen the movie before. 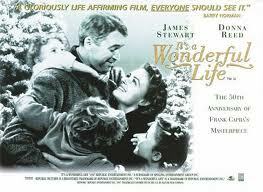 Another memorable experience was screening It’s a Wonderful Life in a packed theatre. Everyone in the audience sobbed during the final scene. 3. 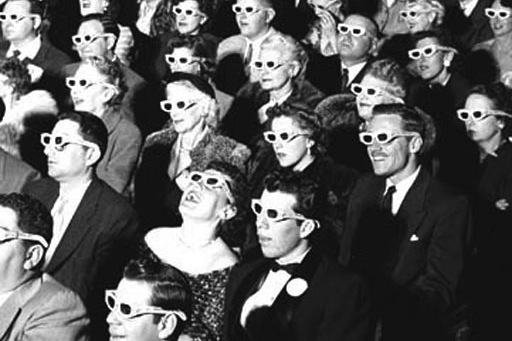 What classic film would you absolutely love to watch on the big screen and why? 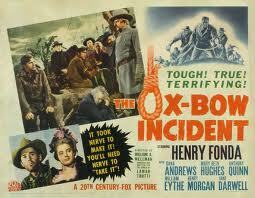 We would love to see The Oxbow Incident on the big screen. We suspect it would be a life-changing experience. 4. You’re having a dinner party and your list of guests include five classic film personalities/stars/directors – who’s on your list? Our list changes all the time, but today it would include Thelma Ritter, David Niven, Charlie Chaplin, Bette Davis and William Wyler. 5. What is your ideal day off? 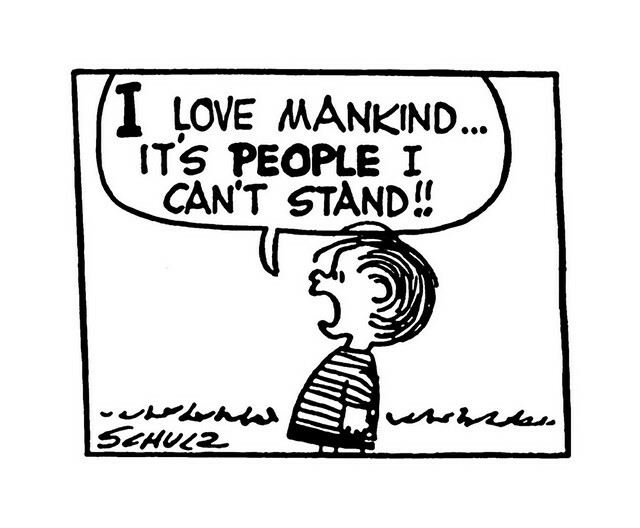 Linus from the Peanuts cartoon strip, because he’s quirky and he’s got that crazy hair. 7. Your favorite movie monster is? The Creature from the Black Lagoon. What’s not to love? 8. If you could choose to live in a house/apartment featured in a film or television show, which would it be? 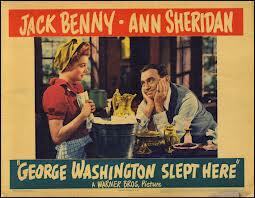 The post-renovation home in George Washington Slept Here. 9. Name one thing you would have on your bucket list. We would love to attend the TCM Film Festival. So far, the timing and/or finances haven’t been in our favour. 10. Bewitched or I Dream of Jeannie? Bewitched. We love Agnes Moorehead and her wild blue eye shadow. 11. Favorite film decade and why? 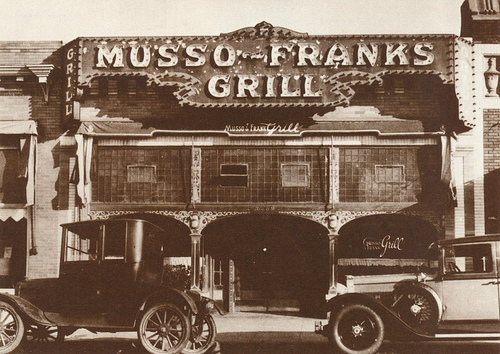 The 1940s. There were some thought-provoking films from this decade, as well as some of the best film noir ever produced. Another requirement for accepting this award is to nominate 11 other bloggers. We’ve decided to forego this until we come up with an award of our own. Previous The Joys of a P.O.W. BRAVA, Ruth! ! 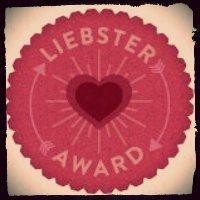 The Liebster Award couldn’t happen to a niftier gal! You deserve it! Thank you, Dorian. It was a fun thing to do. Congratulations! I actually feel like I learned a lot about you here. By the way, raspberry pie sounds fantastic, your sister in law did a great job and The Creature from the black lagoon scared me to death as a child. (Alright I still am afraid of merky water.) Thanks for sharing so much and congratulations again! Thanks for your kind words. 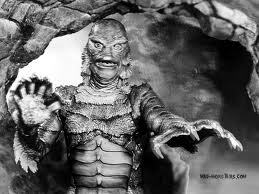 The Creature from the Black Lagoon does make you a bit wary of isolated lagoons in tropical countries, no? He really is one of the best 50s-era movie monsters. Congratulations! You certainly deserve this award and the many more that are sure to come your way. Thanks so much. 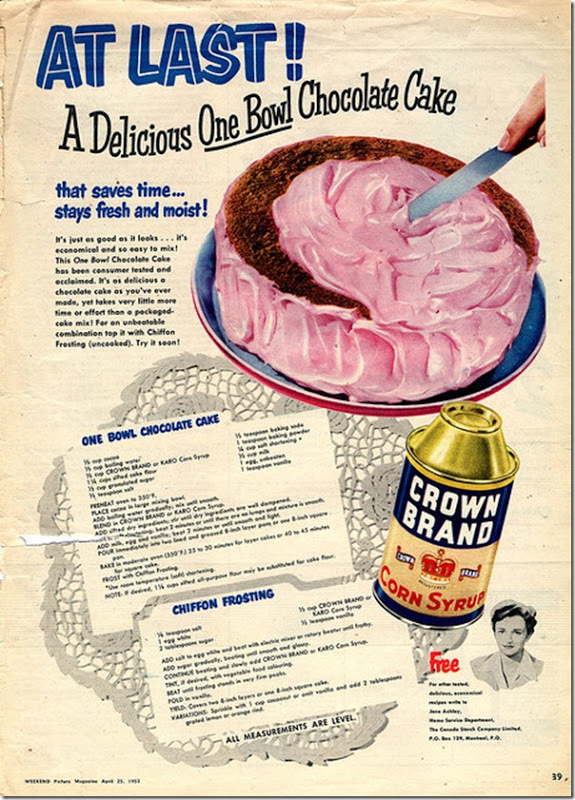 And weren’t those vintage recipes something? 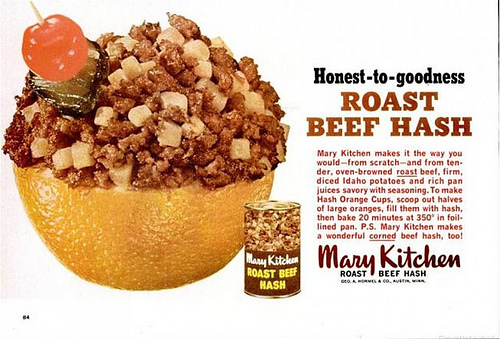 Especially the beef hash in an orange peel? Mmmm. That was as much fun as a chocolate cake. Ha ha! You’re right – chocolate cake IS fun. Congratulations! Those were fun questions, and I love your answers. Thanks! Those really were fun questions, weren’t they? That Aurora is a peach! I KNEW I liked you! Loved those answers – and your award is well deserved! Aww, thanks FlickChick! Aurora created some great questions. Well! The questions are OK – your answers are fabulous. Can I pick ’em or can’t I!? 😉 Sounds like you had a blast doing this and I must say THANKS!! You know I love images too and the ones you included are doozies. Yet another outstanding post. Always such fun to visit. It truly was a blast. Thanks again for the nomination, Aurora. Thanks for stopping by, Page. Isn’t that Beef Hash the best? Mmmm! 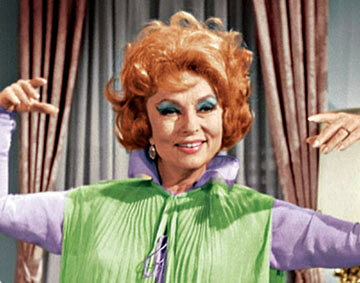 “Bewitched” all the way. While I also like “I Dream of Jeannie,” I liked how Samantha had a mind for herself and was bright. Jeannie’s sole goal was to live for Tony Nelson. Samantha was by far the smarter of the two. Plus, there were such great supporting characters. Well deserved award, Ruth, and I loved your (occasionally cheeky) answers to Aurora’s questions. Good call on the Creech, he’s a classic monster all the way. And who doesn’t love chocolate cake? Ha ha – thanks, Jeff. Boy, all this talk about chocolate cake is making my hungry. Thelma Ritter is a total delight! I want to be at a party with her too. Doesn’t she have the most incredible wit!? OMG, “Sunset Boulevard” on the “big screen!” What an experience that would be. I saw “An Affair to Remember” on the big screen in February and “Casablanca” in November. Both experiences were wonderful, but Bill Holden is one of the loves of my life…much more so than Cary or Bogey. I would feel like I was in Heaven to see him “up close and personal” on the big screen. Hope you had a drool rag handy! 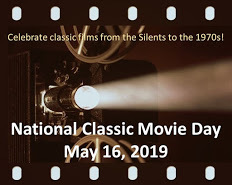 The TCM Film Festival would be awesome…so would the TCM Classic Cruise. Ah, maybe one of these years. “An Affair to Remember” and “Casablanca” on the big screen would both be beyond fantastic. LOL = drool rag! Classic! Congrats!! I agree.. you deserve this fun award and I loved getting to know you better.. 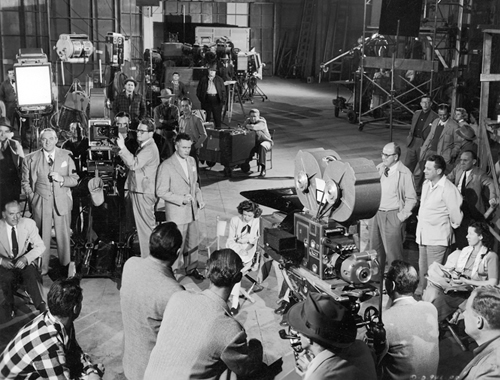 I would love to see the classic film Noir “Leave her to Heaven” on the “big” screen. I saw ” Singin in the Rain” last year on the “big ” screen. It was a wonderful experience that I will never forget. I also… dream of going to The TCM Film Festival and the TCM Classic Cruise. Thanks for your nice comments, Dawn. “Leave Her to Heaven” would be a good one to see on the big screen. Here’s hoping that one year we’ll both be able to make it to the TCM Festival AND the cruise! Congratulations! Great to get to know you better through your much-deserved Liebster Award. Would love to be at your dinner party, by the way. Why, thank you, Lady Eve! Wouldn’t that dinner party be a blast? Great answers! I especially liked your choice of THE CREATURE FROM THE BLACK LAGOON. Your previous answers had me thinking about food and I was thinking the Creature could catch some flounder for a nice seafood dinner!